Traveling with kids is always a daunting task for parents. So, most of the parents don’t plan frequent trips with their family. But, that doesn’t have to be in that way. Traveling with family & kids can be a hassle-free journey when you plan perfectly. It can be one of the most memorable experience for you with your family as well. The main aspect to travel smoothly with your family & kids is to pick a perfect location according to their views, and another thing is to pay attention to their needs. Along with these, the other crucial thing is to find the best balance between the resting time and activities they play. These can sure make your family trip awesome! Now, are you wondering? Where to visit with your family for this holiday season. Then don’t worry I got you covered. The perfect place for your family trip is punta mita, Mexico. I’m saying this because you can enjoy a lot with your family in Punta mita properties and also have fun by exploring different places on that small island. Here are the 8 best reasons why you should visit Punta mita with your kids and family. Punta Mita is undoubtedly one of the best places for your family vacation. I’m saying that because this place has stunning looks and excellent activities that your kids love to experience. Along with that, you can also enjoy different water sports activities and more in Punta mita. This place is a small island which is spread in 15,00 acres of land on Mexico’s Bay of Banderas, Pacific Cost. The perfect white sand beaches and countless fun activities make this place as the unique space to plan a family trip. So, as you are searching for the reasons? Let’s explore the reasons to visit Punta mita with kids and family. It’s always a great feeling to spend some quality time with the family and kids. If you go to the Punta mita, you can enjoy the best beach visuals along with that you can play with your kids in the long white sand beaches. Kids always love to play with parents! So, this is the best option for you as punta mita has less amount of waves and has lesser temperature than other islands. So, your kid and family will stay healthy and can enjoy a lot. You can even take a sunbath at the punta mita beach and slowly sip the coconut water or your desired liquid to watch your kids play happily on the beach sand. Apart from that, you can also go to the pristine beach shore and have fun at the oceanfront Nuna Pool. It is an infinity edge pool with a hot tub. So, you can let them play on their own by as they often get some toys provided by the resort. Take your family for Boating:Do you know that kids love to explore waters? They often want to explore waters and want to look whats in the middle of the sea or waters. 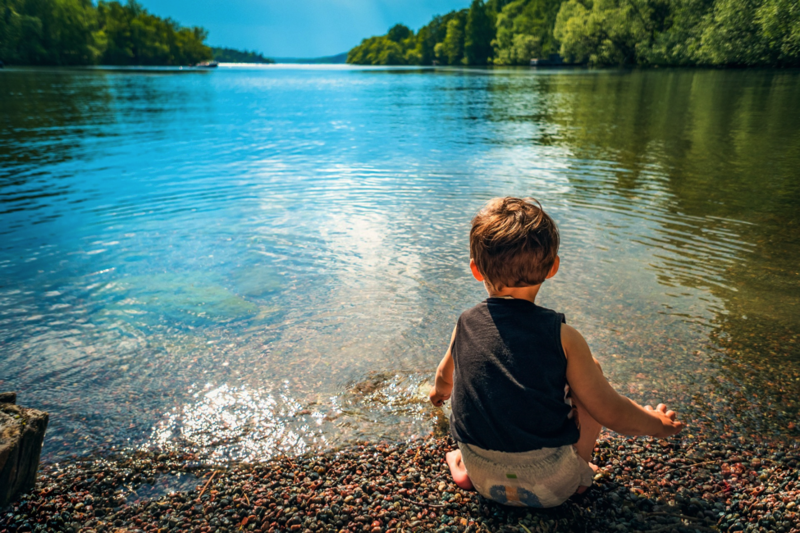 So, it’s always the best options to take your kids and family on boating.While boating, you can do your activities like fishing, sailing or more and have fun. Kids often love to see that, and they want to experience those feelings. Along with that, you can also be romantic with your lovely wife on the boating as well. As couples always love to do boating, so you can cover both activities at the same time. Just hire a boat and go on for boating with your family. You can book the boats from the Resort Itself. Enjoy & have fun at Spacious Casitas:In Punta mita, you can find lots of airy Mexican style casitas which has plenty of room to enjoy for families. You can find the furnished terraces with lots of toys for kids in Punta Mita Resorts. So you can simply enjoy your tour over there in the fresh pools and even enjoy hammocks. If you can afford you can even take a private villa or other spacious five bedroom places. Take to your family to watch The Humpback Whales:This another exciting thing you can do in Punta Mita. Kids and family love to see this breathtaking visual. Suprise them by showing the humpback whales.Most of the families who visit Punta mita never miss this on their trip. So, you shouldn’t miss that either in punta mita. You can explore these humpback whales in the moths of December to the March every year. In that season you can see many mammals throughout the way. This is another reason why you should visit Punta mita with your Kids and Family. Enjoy with your family in Lazy River:You can find some beautiful small lazy pool like a river in the punta mita to have fun. Have fun over there by climbing onto a pillow float with your baby or you can give one for your kids.They will surely enjoy this activity, and this is one of the best things you can do to enjoy with your family. If you want to spice up, you can order a cocktail for you and fresh fruit smoothies for your kids. Train your kids to Surf & Swim:In Punta mita, you will find many water sports activities for you to experience but at the same time if you want to make your kids learn water sports activities means you can do that as well. There are many resorts which provide expert trainers to teach surfing, Swimming, snorkel, and even scuba diving as well.So, choose the best option your kid love and teach then the new way to explore things. This will be definitely useful for them in later half of their life for sure. Taste Mouth water food:In Punta mita, you can often find some great seafood dishes which tastes well. You can enjoy happy dining with your family in the best resort, or you can even plan your dining at the seashore as well.Some resorts do offer candlelight dinners and special family dinners on the seashore. So, it is another pleasant thing you can do in the punta mita. I hope these reasons are more than enough for anyone to visit Punta mita with their families and kids. Colorful visuals and Sounds:When you visit Punta mita, you will definitely experience the beautiful sights and good sounds around you. Whether you stay there for one day or one week, you will see some fantastic views over there. You can even explore places nearer to the fishing village to buy some stuff for your kids. Along with these, you will also find boutiques and other aspects which grab attention.These are the best reasons why you have to visit Punta mita with your family. I hope you all enjoyed this article if you want to know more let us know in the comments section.